Egypt’s interior minister has sacked the country’s riot police chief following five days of nationwide police strikes, state media reported. 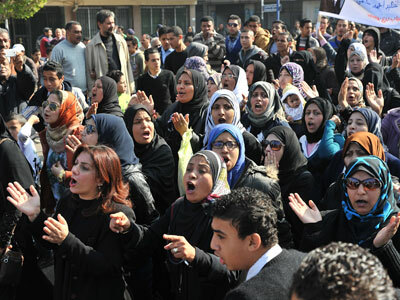 Officers are accusing the government of politicization amidst a backdrop of recent violence in Port Said. Egyptian Interior Minister Mohamed Ibrahim has appointed a new commander for the Central Security Forces, according to MENA news agency. The sacking took place after “widespread protests in several CSF departments over the past 48 hours demanding that policemen be removed from political conflicts," MENA reported. 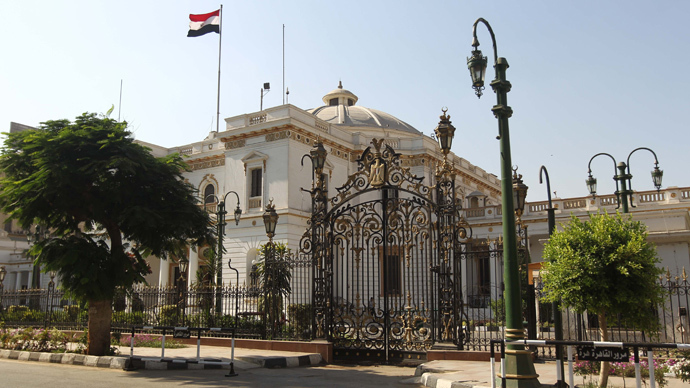 More than 30 police stations across the country reportedly shut their doors on Friday in the fifth day of strikes against the interior ministry, Ahram Online reported. 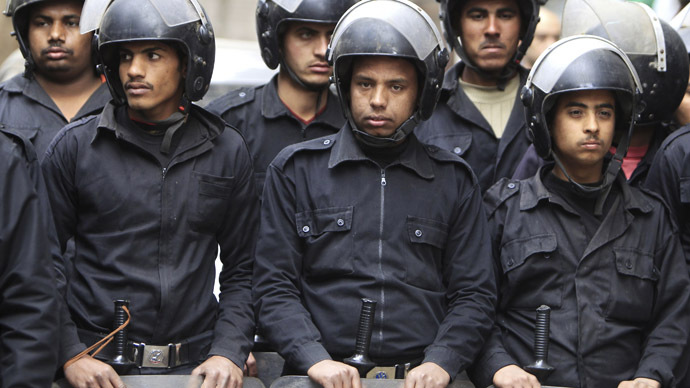 A mid-ranking Cairo police officer said that he expected all police stations to join Saturday’s strike if their demands were not met by the end of the day, Friday. On Thursday, dozens of Cairo policemen blocked the entrance to one of the city’s main police stations and spoke out against President Morsi’s policies. 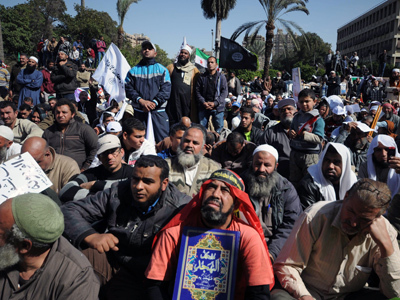 Others arranged a sit-in outside Morsi’s house in his hometown of Zagazig. Meanwhile, a police strike in Egypt’s Assuit province has prompted former Islamic militant group Gamaa Islamiya to send its members out to patrol the streets. It said it was assembling volunteer members to act as police. Assiut security chief Gen. Aboul-Kassem Deif has acknowledged the group’s move is illegal, but feels the province has no other option. “I don’t know what to do,” he told AP. Policemen are angry that they can be tried in military courts and complain that current laws do not protect them when they carry out their duties. They’re speaking out against being forced to confront anti-Brotherhood protesters. However, the police force has been accused by rights activists of employing brutal tactics during the uprising. 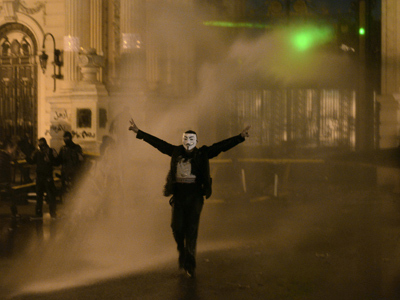 More than 100 policemen have been put on trial for the killings of protesters, and all but two were acquitted. There has been widespread tension between police and demonstrators since the mass protests which brought down former President Hosni Mubarak in February 2011. Accusations of torture from police officers continue to emerge, and more than 70 people have been killed in nationwide protests since January. Rights groups allege that police are still operating with impunity. The latest violence in the city of Port Said has led to the removal of officers from its streets. It comes after thousands of demonstrators called for the departure of police forces on Friday. The Egyptian military has taken over security duties in the city. According to the interior ministry, police were withdrawn from the streets to “calm the tension.” The news was met with celebrations from demonstrators – many of whom stood on tanks and chanted in support of the military. 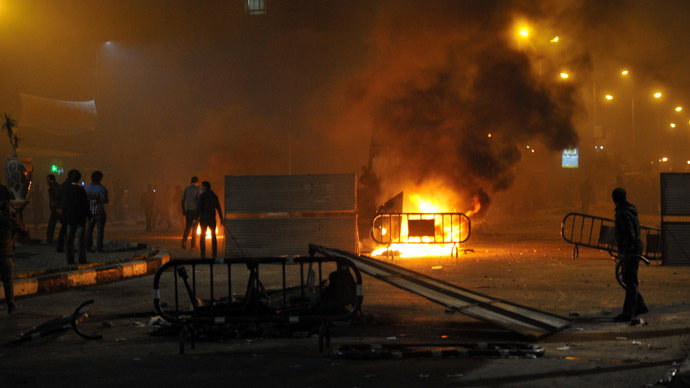 Clashes between police and protesters in Port Said have entered their sixth continuous day. At least eight people have been killed in the violence, including three policemen. 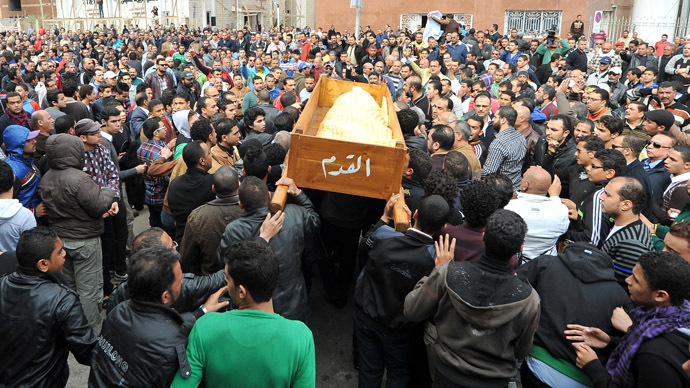 The sacking of the police chief comes just one day before a court is due to announce the verdicts of 52 defendants - including nine police officers – who were involved in deadly football riots in Port Said last year. Twenty-one football fans were sentenced to death in January over the riots, which left 74 people dead. The verdict led to further riots, resulting in the loss of an additional 40 civilians. Most were killed during an alleged attempt to storm a prison. The riots prompted a crackdown by security forces, leading many to accuse officers of police brutality.